It is the fifth festival win for the modern-day silent comedy. 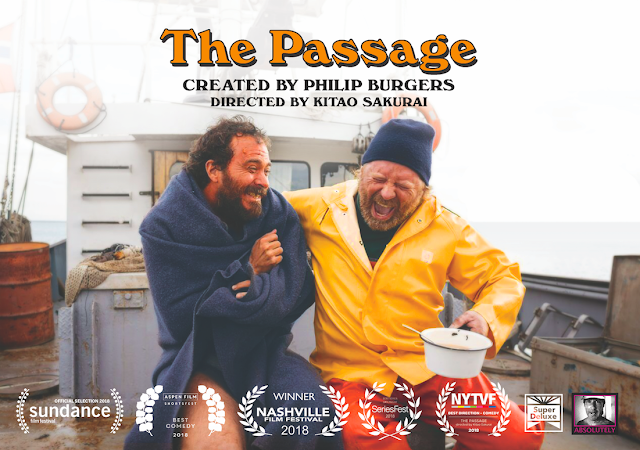 The Passage has previously won the Grand Jury Prize at the Nashville Film Festival, Best Late-Night at SeriesFest, Best Director for Comedy at the New York Television Festival, and Best Comedy at Aspen Shortsfest, making it an Oscar-qualifying live action short film. The Passage follows Phil, a sweetly mysterious and childlike wanderer, as he adventures across a surreal multicultural landscape in order to escape the clutches of two bumbling pursuers – all without uttering a single word. Through a comedic lens, The Passage deals with resonant themes of immigration, the longing for human connection, and the tragedy of never being able to find peace. “Philip Burgers is one of a kind. He’s a true artist whose physical comedy not only reminds us of brilliant performers from another era, but also conveys genuine emotion. Making projects like this is what Super Deluxe was founded to do,” says Wolfgang Hammer, president of Super Deluxe. The Passage trailer from Super Deluxe on Vimeo.